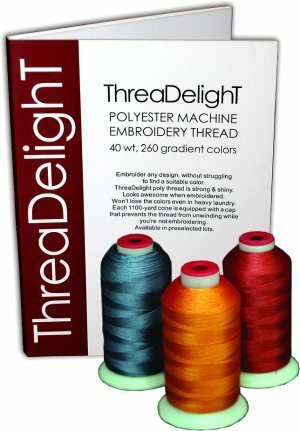 This embroidery thread kit includes 260 gradient colors - the entire ThreaDelight ™ polyester color palette. There are NO duplicate colors. 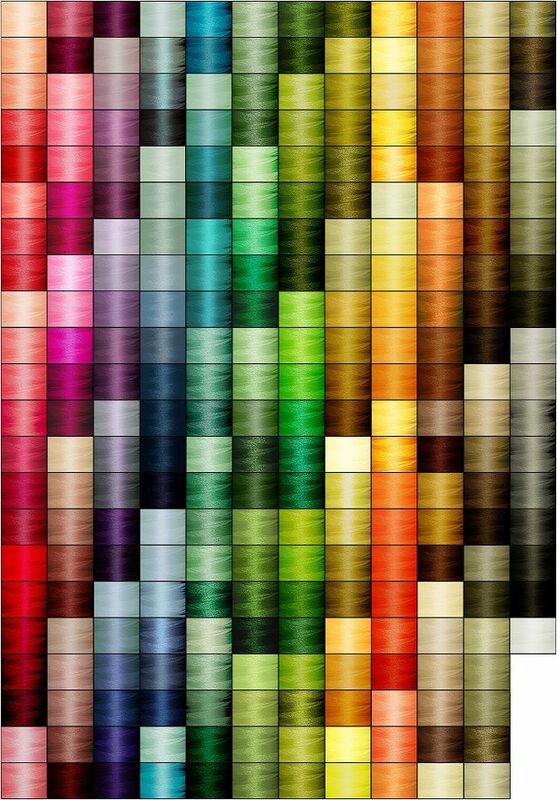 Each color family includes colors from light to dark, to allow you embroider bold, artistically looking designs. 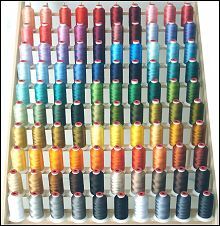 This thread is also exceptionally shiny and colorfast. It's perfect for items that require frequent laundry, are exposed to sun or moisture - like kids clothing, bed & table linens. Each cone has a small plastic leg. Leg diameter is 1.6 inches, cone height is 2.7 inches. The cones come with neat red caps that can lock thread ends and prevent your thread from unwinding while you aren't embroidering. from Canada I really like your product. I really like your product. Shipping is fast. Keep up the good work.